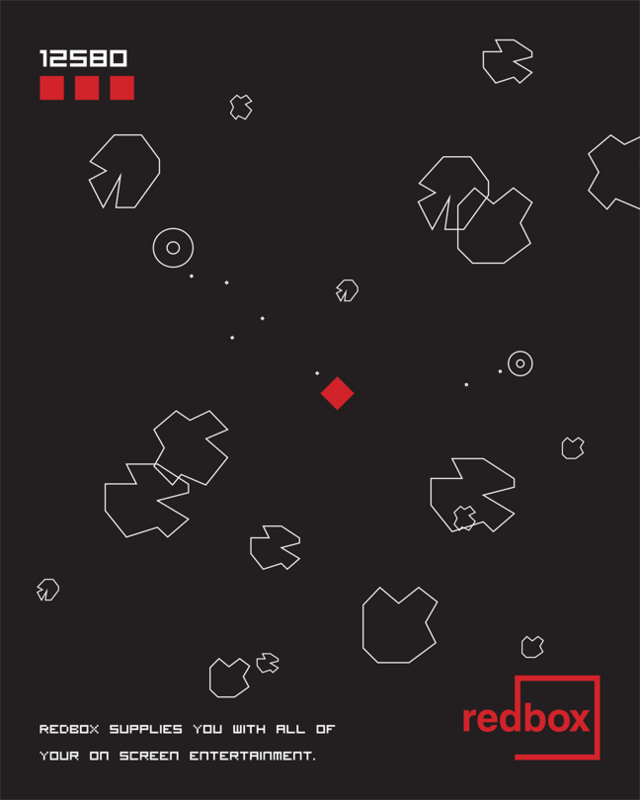 Redbox rents DVDs, Blu-rays, and video games using automated kiosks. 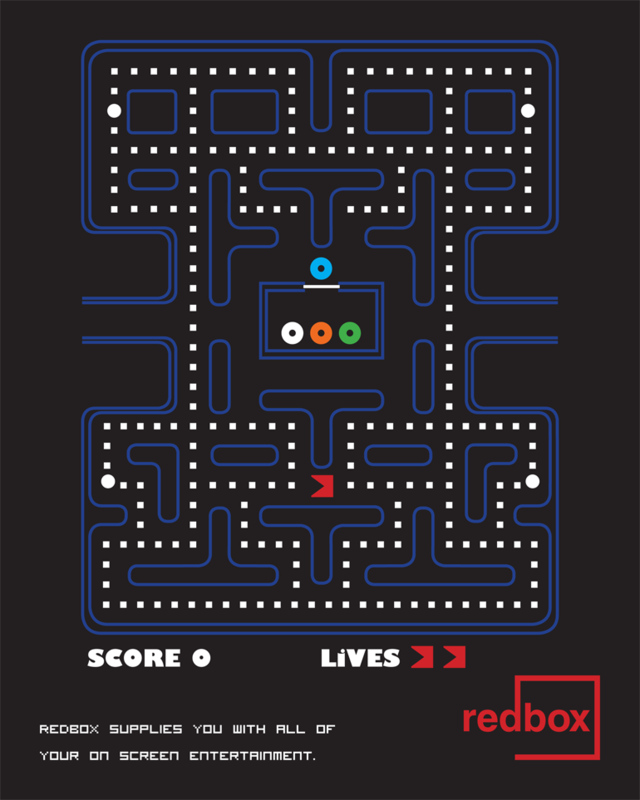 The Redbox mark was redesigned and implemented into 3 advertisements. These advertisements are for classic games that would be found in any Redbox. 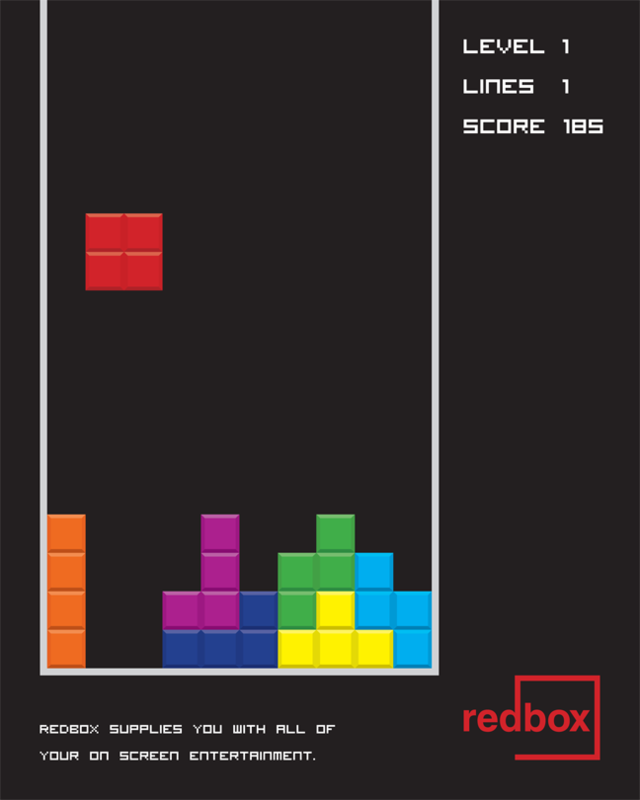 These classic games are modified in these advertisements so that the main element is a red square representing the Redbox.